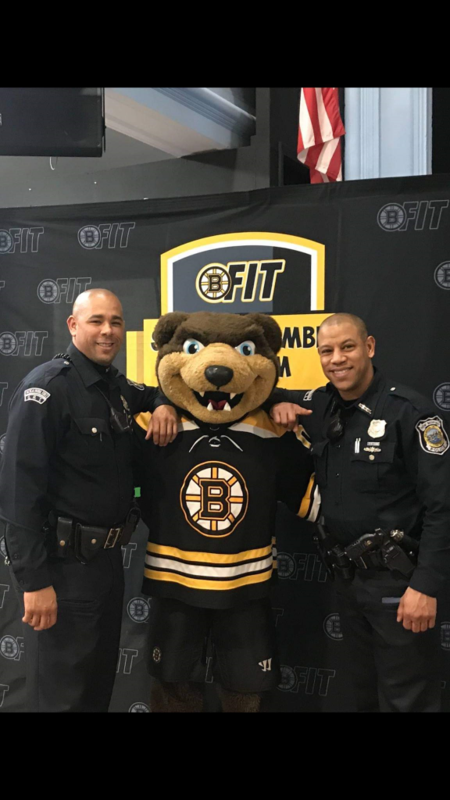 On Wednesday, March 27th, our very own School Resource Officers Shane Harris and Ryan Bland were at Holy Famly/Holy Name School in our city for the “BFit” initiative of the Boston Bruins. 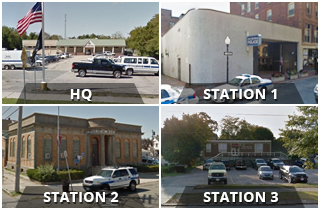 This initiative encourages and promotes healthier living throughout New England. Officer Harris spoke at this event and did a presentation on Bullying! Officer Harris pictured, giving his presentation. Also pictured, Officer Ryand Bland and Officer Shane Harris with the Boston Bruins’ mascot. Massachusetts State Troopers and The New Bedford Fire Department represented as well. 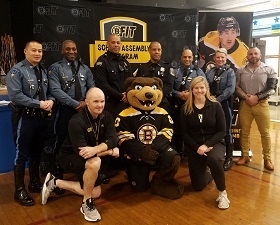 Also Pictured standing from left to right; Trooper William Wong, Trooper Bachir Kouta, Officer Ryan Bland, Officer Shane Harris, Trooper Nate Monteiro, Trooper Vanessa Gasior, Firefighter J. Almeida, and kneeling were Boston Bruins’ John Whiteside, Bruin Mascot, and Julia Wardell.